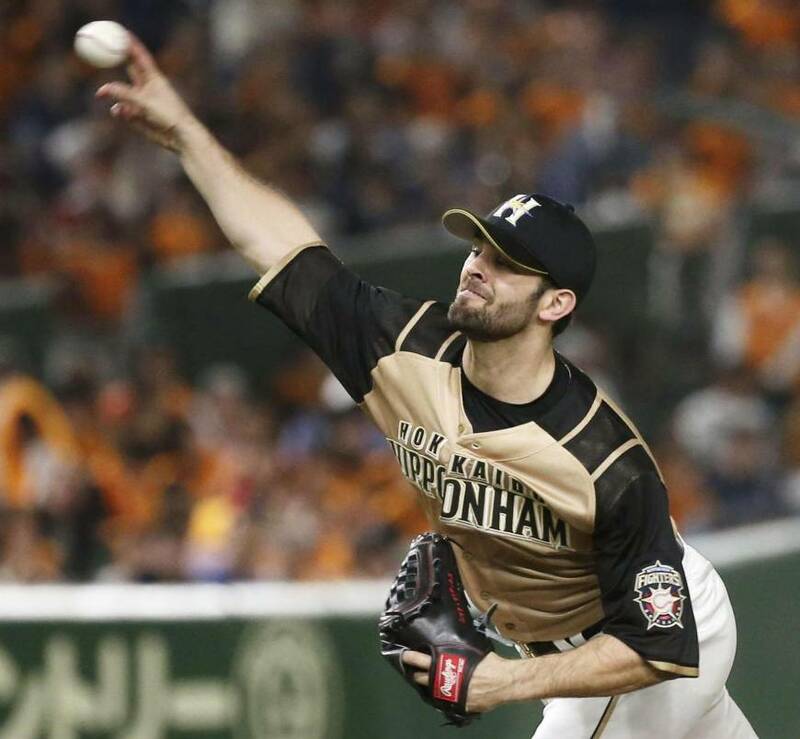 SAPPORO - Right-hander Nick Martinez has re-signed with the Hokkaido Nippon Ham Fighters, the Pacific League club announced Tuesday. 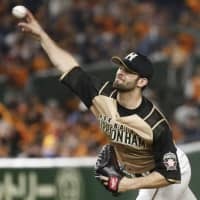 Martinez, a 28-year-old who made 68 starts for the Texas Rangers before moving to the Fighters, went 10-11 with a 3.51 ERA this year for Nippon Ham. He reportedly turned down a minor league offer from the New York Mets to return to Japan for 2019. His new contract is for one year and is reported to be worth ¥250 million ($2.2 million). Nippon Ham finished third this season, 13½ games back from the PL champion Seibu Lions.